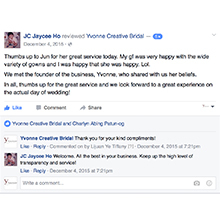 Yvonne Creative brings the best wedding professionals to your doorsteps, capturing your special moments with a personal touch giving you the best memories on your special day. 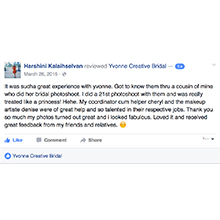 Because every bride deserves the best. 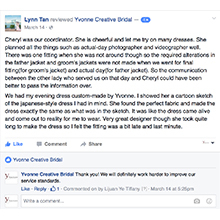 Yvonne Creative bridal, there’s always something for everyone. 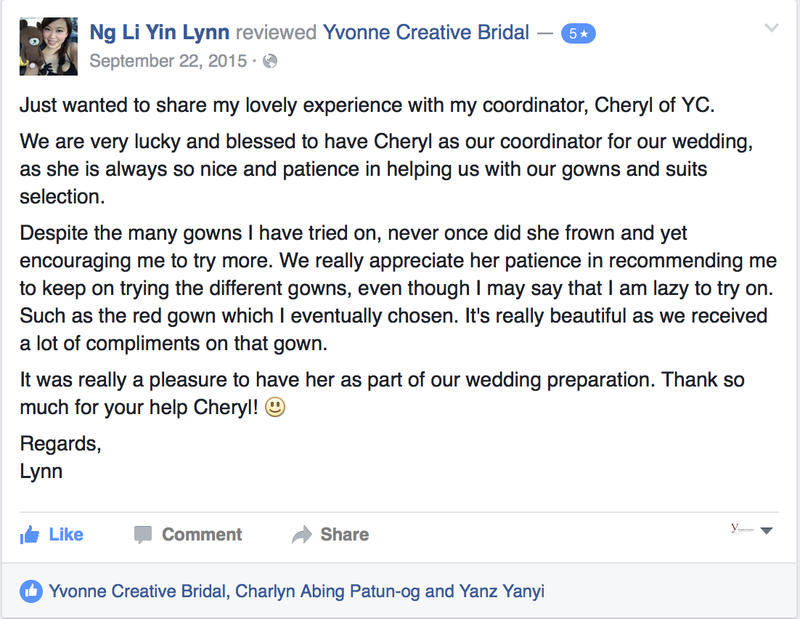 With our wide variety of gowns and suits collections, our goal is to make all our couples look their best on their special day. 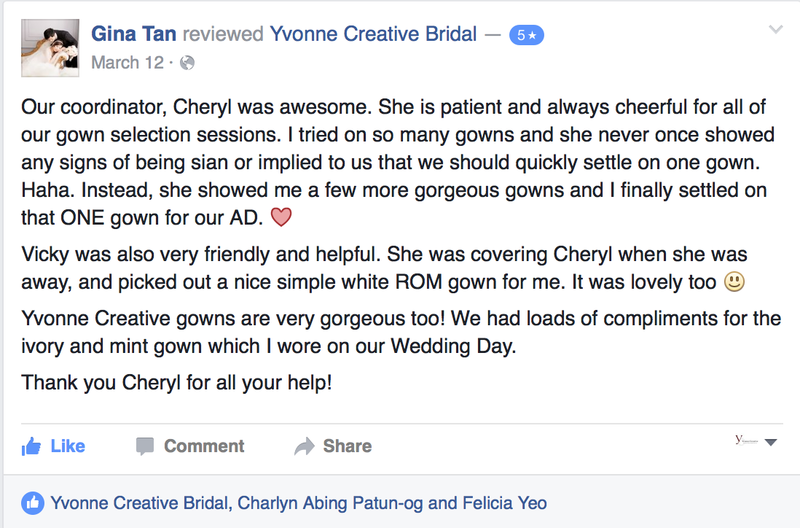 We offer customised packages to meet all your requirements. 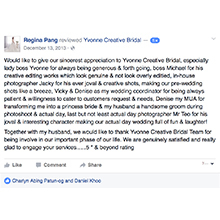 For Couples looking to create perfect photography for their wedding day, we offer pre wedding and actual day photography. 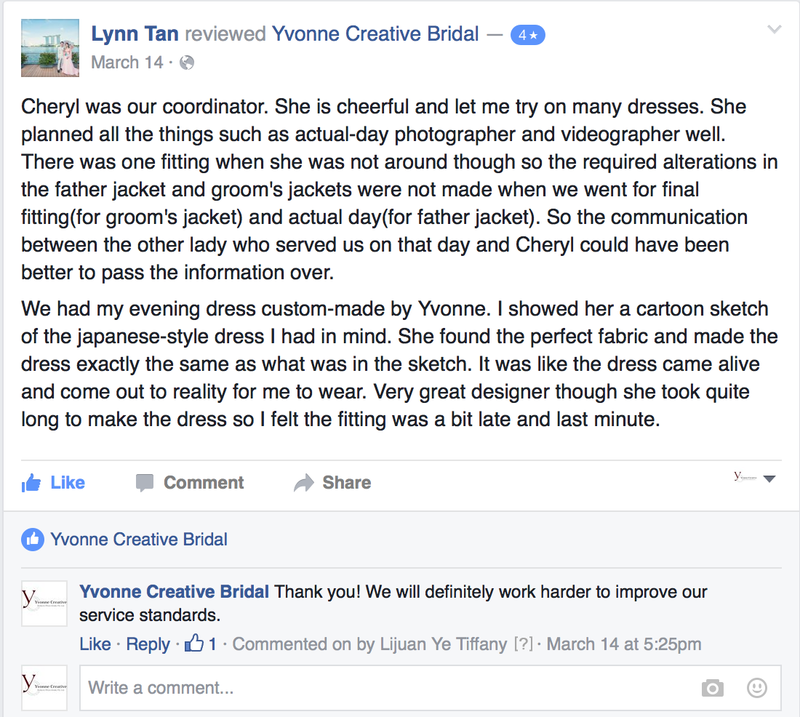 Our gowns are individually designed by our director, Yvonne Tan and we specialize in custom made bespoke gowns, creating a unique gown for each and every individual. 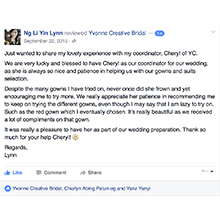 Yvonne believes in finding the perfect silhouette for every bride and accentuating it with intricate designs to suit their preferences. 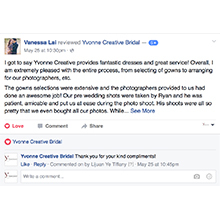 Yvonne Creative Bridal has a team of resourceful sales representatives, patient and helpful wedding coordinators and our photography department is filled with professionals with many years of experience. 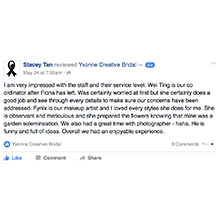 We do what we do best. 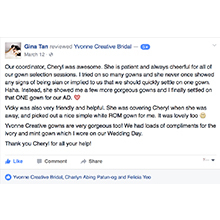 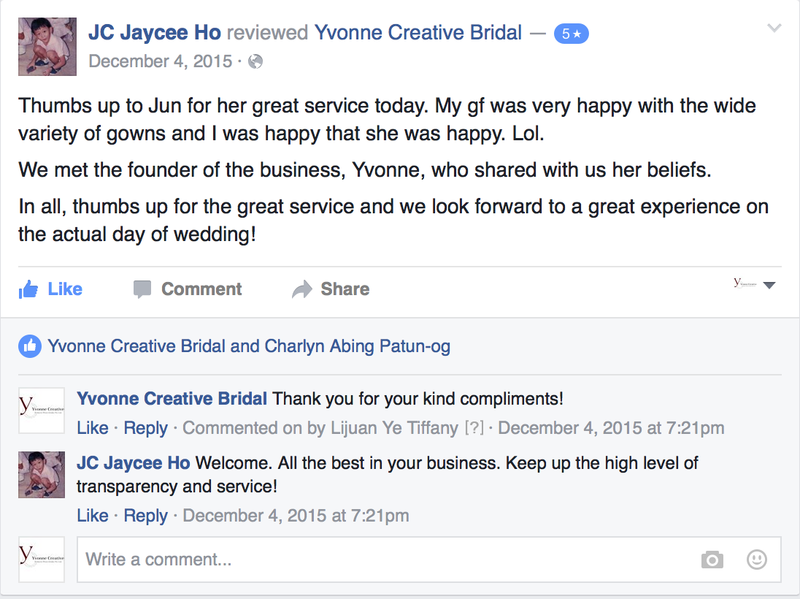 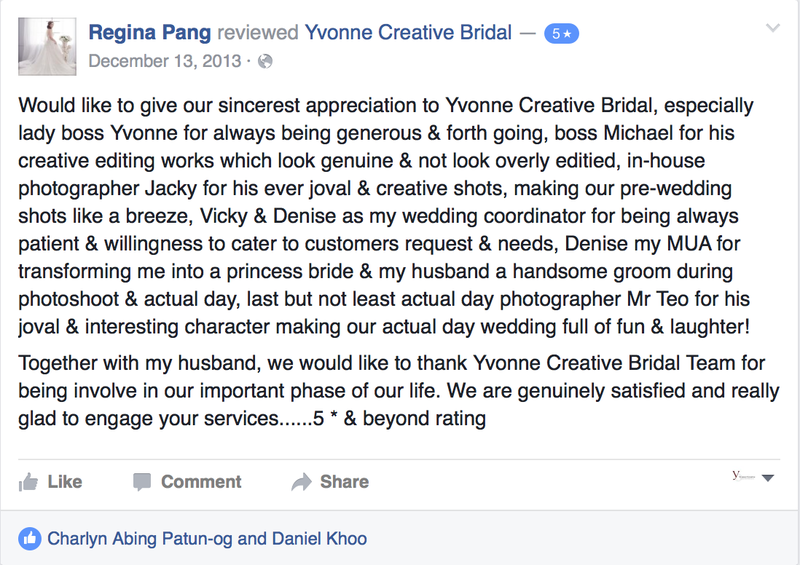 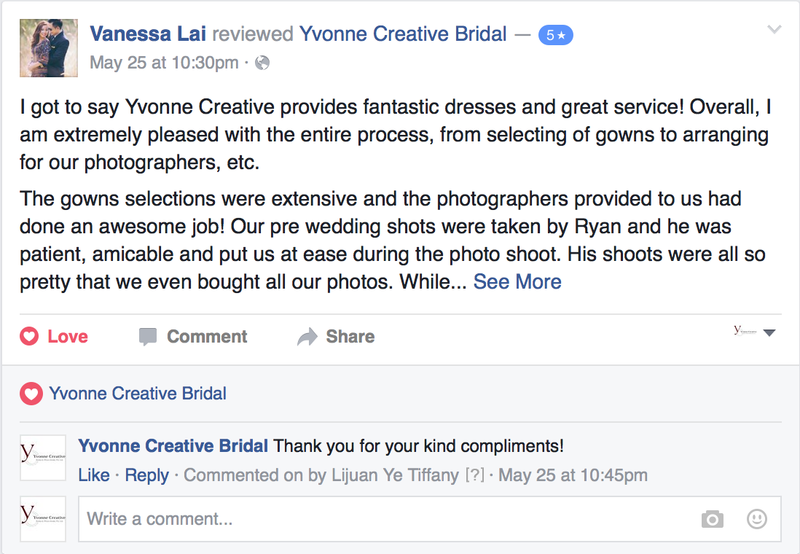 These are some reviews by Yvonne Creative's clients.